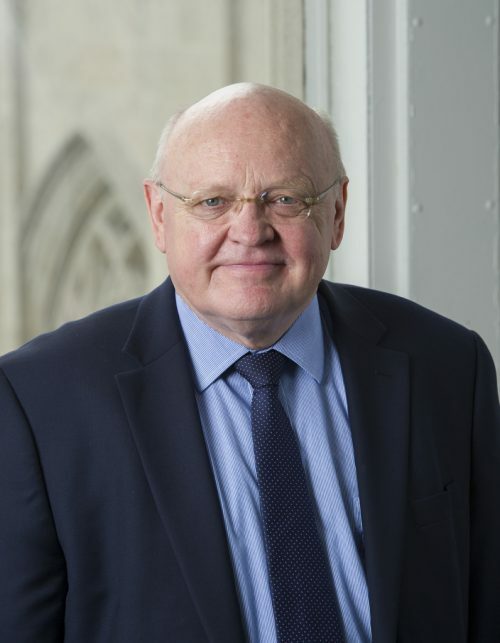 The second Pitt dean in two weeks has announced his return to teaching. John Cooper, dean of the Kenneth P. Dietrich School of Arts and Sciences, will step down and resume his former faculty role in the Department of Chemistry in fall 2017 after holding the dean position for 18 years. Since becoming dean in 1998, Cooper has recruited more than 70 percent of the School of Arts and Sciences’ current faculty, with the hiring of minority faculty members increasing by 30 percent and the representation of women on Pitt’s faculty increasing by almost 50 percent. Pitt has conducted $1 billion of funded research while Cooper served as dean. Provost Patricia Beeson said it was an “honor” to work with Cooper in his role as dean. Cooper’s announcement comes one week after University Honors College Dean Edward Stricker announced on June 16 that he will be stepping down. Stricker said he is stepping down as dean to focus on other endeavors at Pitt. “I look forward to returning to the Department of Neuroscience, where I will continue to teach and generally help students reach their fullest potential and thereby advance the mission of the University of Pittsburgh,” Stricker said. Pitt spokesperson Joe Miksch said the two step-downs were not related, and the decisions were made by the respective deans. Committees to search for replacement deans will form this fall.